EggsnThings comes to Japan with its Grand Opening in March. 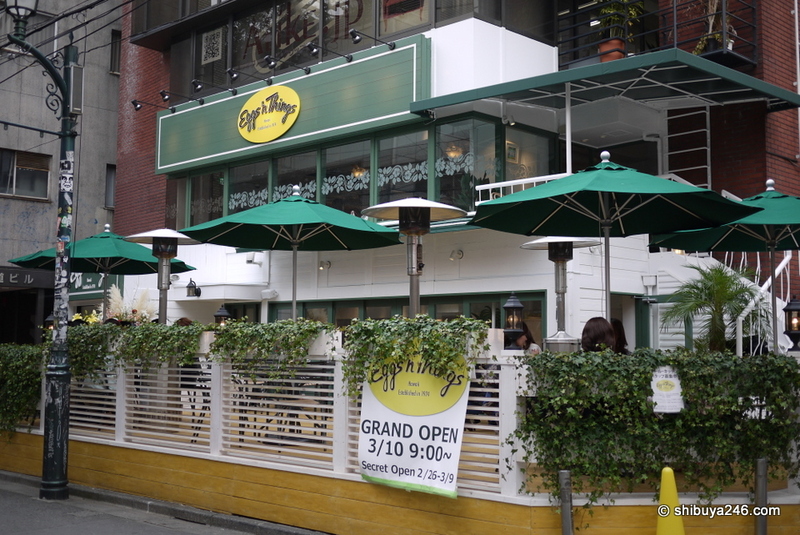 Eggs’nThings Japan has opened its first store in Harajuku and is already proving popular. The brand is well known with Japanese that have traveled to Hawaii and tasted the local Eggs’nThings pancakes and omlettes in Waikiki. When I was last in Hawaii I went to the store but they were renovating. Now I can get a taste of Hawaii without leaving Tokyo. Have you heard of Eggs’nThings before? Where do you like to get your pancakes? http://bit.ly/c0PGFJ Have never heard of that restraunt before. Haven’t gone out for pancakes in quite some time. When I used to go out, It would be to either, I-Hop or Dennys. I love strawberry topped w/whip cream or chocolate chip flavored ones. Or if they run the special of all you can eat. you’ve got it all there in Japan. Looks like they were established in the year I graduated 1974.
haha i love the name of this place ! But I can’t say i’ve heard of it before .. tough looks and sounds interesting ! I love eggs.. one of my favorite foods. we have something like that here in Manila called Heaven N’ Eggs. almost the same concept of pancakes, waffles and egg dishes. With country decor and swings suspended on the ceiling as chairs.